I seriously doubt whether Dorsey was even a consideration. I believe team president and CEO Mark Murphy had every intention of naming bean counter Russ Ball the general manager until the overwhelming public backlash gave him cold feet. Needing to quickly come up with another plan, he decided to give the job to Brian Gutekunst. But Ball still came out of the restructuring with a lot more power than before and so did Murphy. And in my opinion, that was always the desired end result. I wouldn’t even think of keeping either Randall Cobb or Jordy Nelson at their current salaries, but if I had to keep one, it would probably be Nelson. At least he’s still a weapon close to the end zone. Even though the 32-year-old can’t run a lick anymore, he’s still big and he’s still savvy. Cobb might be the more athletic of the two, but he’s no longer quick enough to consistently beat decent slot corners and his lack of size makes him hard to find when the field shrinks. I don’t see what the 2018 version of Cobb would add to the offense. 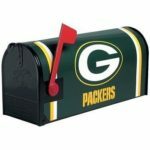 Gutekunst needs to realize that Cobb and Nelson are no better than No. 3 or maybe even No. 4 wide receivers at this point in their careers and that Geronimo Allison, Trevor Davis, Jeff Janis, Michael Clark and DeAngelo Yancey are fringe NFL players at best. This means it’s time to overhaul the position by adding someone like Donte Moncrief in free agency and using a high draft pick on the position in April. Looking back at this past season, it was depressing to see just how far the talent level has fallen in the past five years. There’s no denying that the offense was at its best under Philbin, but there’s also no denying he had great talent to work with. You don’t need to be an offensive mastermind to figure out ways to score points with Nelson, Aaron Rodgers, Greg Jennings, James Jones and Jermichael Finley all in their prime. 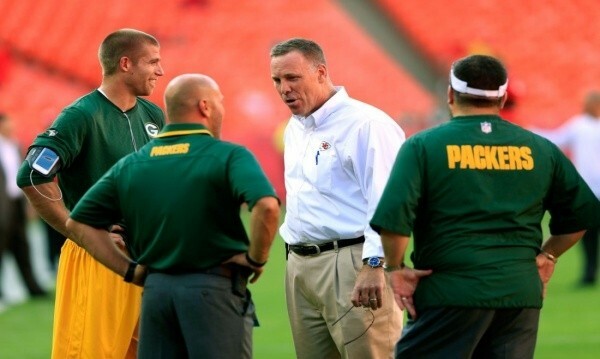 I would’ve much preferred bringing in a fresh face, but at least Philbin’s spent some time away from Mike McCarthy. That couldn’t be said about either of the past two offensive coordinators (Tom Clements and Edgar Bennett).